SAULT STE. MARIE, Mich. — The U.S. Army Corps of Engineers, Detroit District, announces the Soo Locks in Sault Ste. Marie, Mich., opened today Monday, March 25, marking the beginning of the 2019 Great Lakes shipping season. 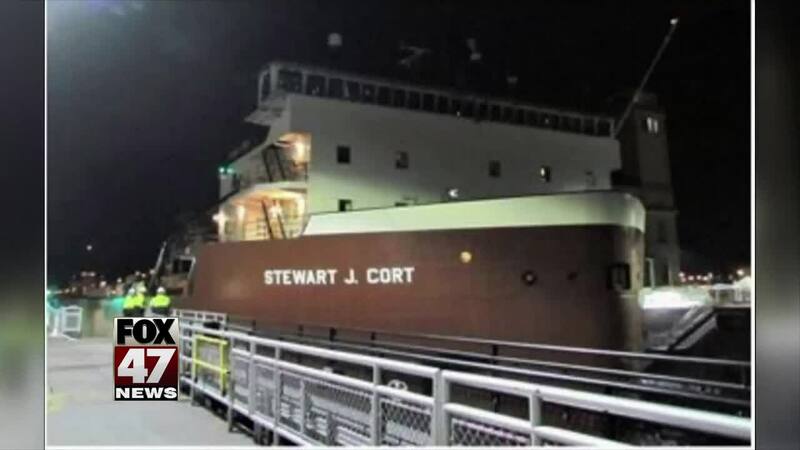 "The up-bound Motor Vessel Stewart J. Cort, a U.S. Flagged 1,000 foot freighter, is the first ship to enter the Poe Lock," said Jeffrey Harrington, operations section chief, Soo Area Office. "Maintaining navigation on the Great Lakes is one of the Detroit District's core missions and the Soo Locks is really the linchpin of the Great Lakes Navigation System," said Lt. Col. Greg Turner, district engineer, Detroit District. "While we are aggressively moving out on building the new lock at the Soo, we must remained focused on keeping the existing infrastructure in good working order. The incredible team of dedicated professionals in Sault Ste. Marie and Detroit, Mich., deserve our thanks for successfully completing another massive winter work program. I couldn't be more proud." The locks were officially closed on Jan. 15 and underwent critical repairs and maintenance during the 10 week long winter shutdown. Extensive work was performed on the Poe Lock including weld inspections and repairs on the upstream gate, replacement of anchorage links for the dewatering gate, minor repairs and inspection on the intermediate and downstream gates, and underfloor drainage cleaning. The MacArthur Lock underwent repairs to the filling and emptying valve bulkhead slots and replacement of anchorage links for the dewatering gate and intermediate gate. A formal periodic inspection was also completed. The MacArthur Lock, located on the south side of the Poe, will continue undergoing maintenance until mid-April. The Detroit District operates and maintains the Soo Locks along with 94 harbors and connecting channels on lakes Superior, Michigan, Huron, St. Clair and the portion of Lake Erie that borders the state of Michigan. Located on the St. Marys River, Michigan, the locks have been a part of the Corps' navigation mission since 1881. For more details, contact Lynn Rose, Detroit District public affairs chief, 313-226-4680, or Kevin Sprague, area engineer at the Corps' Soo Area Office, 906-635-3464.